No Man’s Sky has been announced for release on Xbox One, as maker Hello Games ramps up work on the game’s next major update. The Xbox One version of No Man’s Sky is due for release this year, but does not yet have a solid release date. When it launches, the Xbox One version will feature all previously release content on disc. Developer Hello Games continues to work on improving the core game, and No Man’s Sky’s next major update, titled NEXT, will build on the foundation established by previous major updates like Foundation, Pathfinder, and most recently, Atlas Rises. 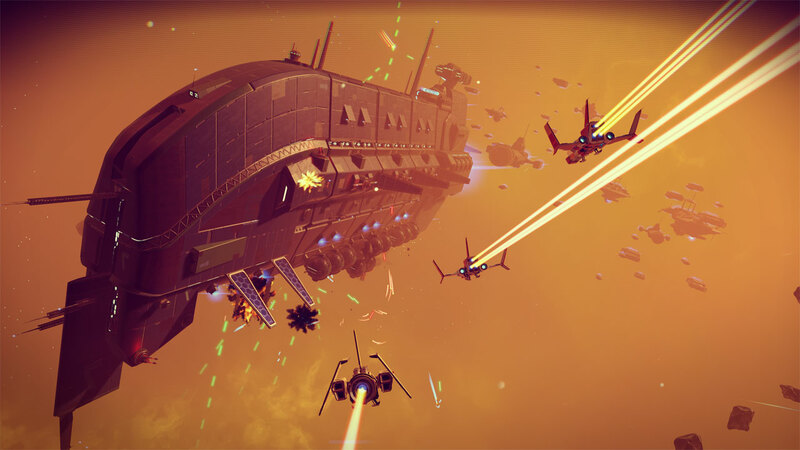 “We are calling this No Man’s Sky NEXT because it is an important next step in a journey for No Man’s Sky, for Hello Games and for our devoted community,” creator Sean Murray said. “Each update for No Man’s Sky has been more successful than the last; this was especially true of our last update Atlas Rises. The Xbox One version will support Xbox One X, with additions such as 4K resolution and HDR support. No Man’s Sky has been a PlayStation 4 and PC exclusive since it launched in August 2016.